It is well known that different aluminum sheet is divided into different series, and even different properties and uses of the same series are also different. Here to explain the difference between the 6000 series aluminum sheet in different conditions. 6061 aluminum sheets and 6082 aluminum sheets are the representative of the products of the 6000 series, and the states of T6, T5 are common states. Before the understanding of T5 and T6 state, it is needed for everyone to spread the knowledge: aging and quenching. 1, aging: the process of eliminating internal stress of metal. 2, quenching: the metal is heated to a certain temperature and then cooled to the desired hardness. 2000, 6000 and 7000 series aluminum sheet can improve the strength by quenching treatment. T5 refers to that the aluminum sheet is extruded from the extruder and then the temperature is reduced rapidly to achieve the required hardness (Webster hardness 8–12). T6 refers to that the aluminum sheet is extruded from the extruder with water to make instantaneous cooling to achieve higher hardness (Webster Hardness of the above 13.5). The cooling time of air cooling is relatively long, and usually there will be 2-3 days, we call it a natural aging. However, we call short cooling time is artificial aging. The main difference between T5 and T6 States is that the intensity of the T6 state is higher than that of the T5 state, and other properties are similar. 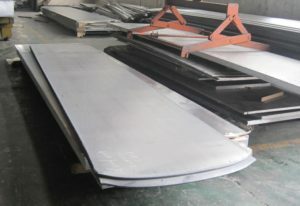 In terms of price, because of the difference in the production process, the price of T6 statealuminum sheet is higher than the T5 state 500-1000 yuan per ton.